The Can-Am Outlander is a tough ATV especially developed to deal with a wide range of terrains without breaking a sweat. The 2014 Can-Am Outlander is available with three engine options. 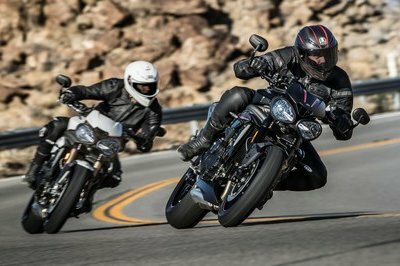 The first is powered by a 499.6 cc, V-Twin, liquid cooled, SOHC, 8 Valve (4-Valve / Cyl) engine the second comes with a 649.6 cc, V-Twin, liquid cooled, SOHC, 8 Valve (4-Valve / Cyl) unit and the third is equipped with a 799.9 cc, V-Twin, liquid cooled, SOHC, 8 Valve (4-Valve / Cyl) powerplant. The engines are combined with a CVT, sub-transmission with high, low, park, neutral & reverse. 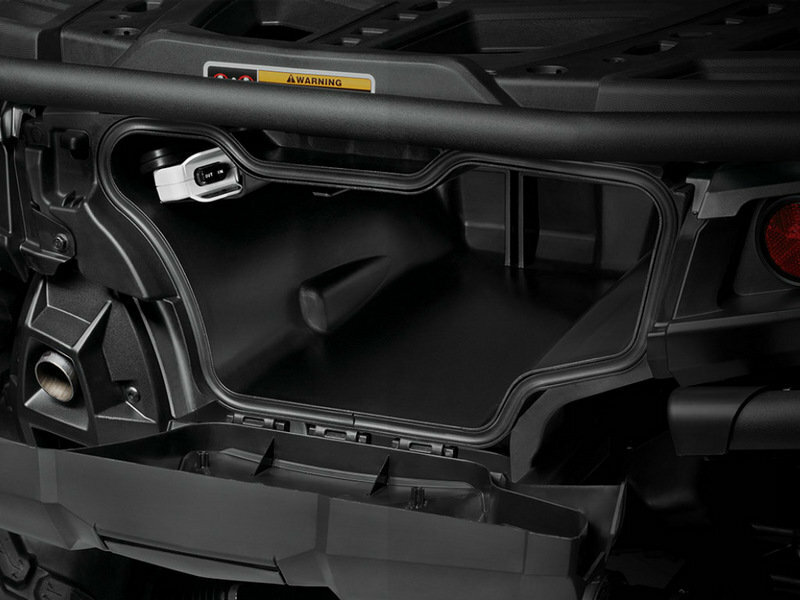 Among the features offered by the 2014 Can-Am Outlander you’ll find generous storage places, D.E.S.S. anti-theft system and a multipurpose rack with the exclusive LinQ quick-attach system. The Can-Am Outlander is offered with a base price of $6,799. 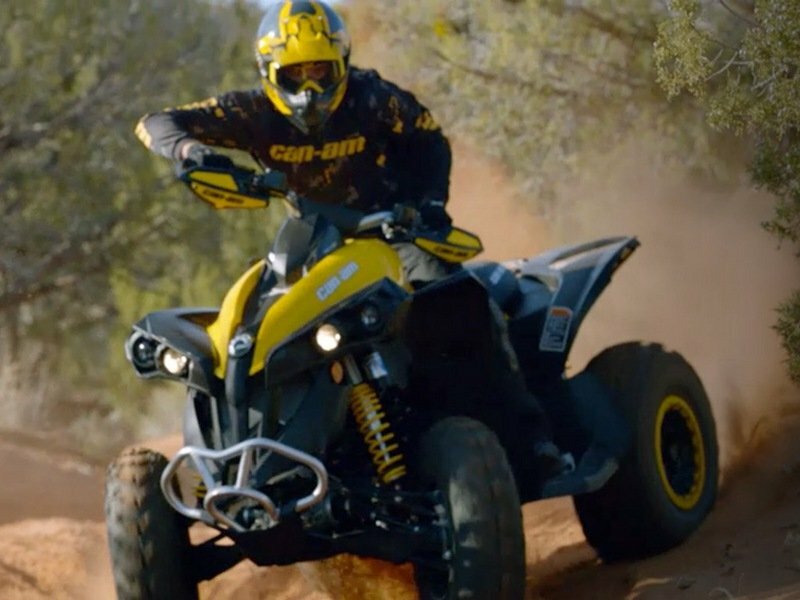 Hit the jump for more information on the 2014 Can-Am Outlander. Whether you’re hauling gear or hitting the trails, count on Can-Am DNA. Featuring Rotax® power and reliability, precision handling, and comfort like no other ATV, the Outlander outperforms. Added storage, D.E.S.S. anti-theft system and a multipurpose rack with the exclusive LinQ quick-attach system equips you for whatever adventure you’re looking for. Available in a 46-hp Rotax 500, 62-hp Rotax 650, or 71-hp Rotax 800R liquid-cooled V-Twin engine, with four valves per cylinder and single overhead camshafts, the signature Can-Am engine lineup offers unmatched power for a true performance edge. The larger, more efficient radiator offers almost double the cooling capacity, keeping the engine running cool for optimal performance. The radiator capacity has grown by 14 kW thanks to the latest engineering updates. The new air box has been reconfigured and placed at a higher, more centralized location for filtering and processing air. The no-tools air box features a dual-room design capturing dirty air in one portion of the box and clean air in the other before sending it to the engine. 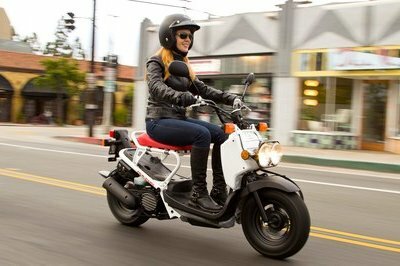 Ride longer and get the job done with the large-capacity fuel tank. Includes dive-control geometry for better cornering and vehicle-braking dynamics. The use of a shortened spindle, along with anti-kickback geometry, provide a better steering feel. The 9 in. 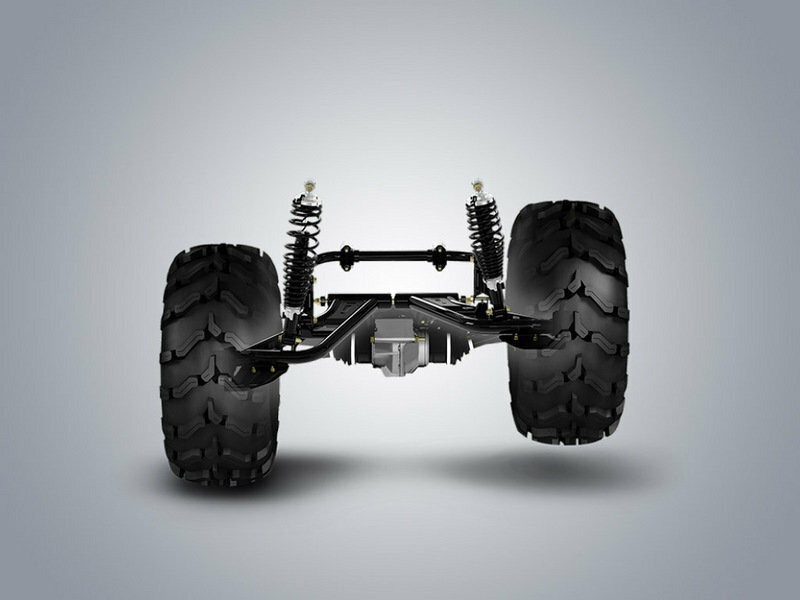 of suspension travel increase trail comfort and aggressive riding capability. Exclusive to Can-Am, Visco-Lok is a progressively and automatically locking front differential system. 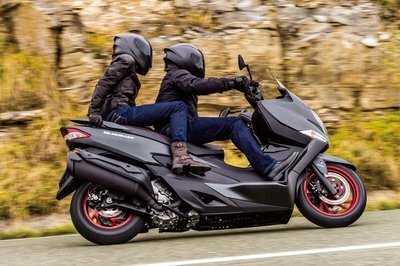 The system intelligently transfers power from a slipping front wheel to the opposing wheel with traction. No buttons to push or levers to pull. Get progressive lock-up with no rev or speed limiter. The front and rear setup use large 214-mm disc brakes with hydraulic twin-piston calipers for superior stopping power. 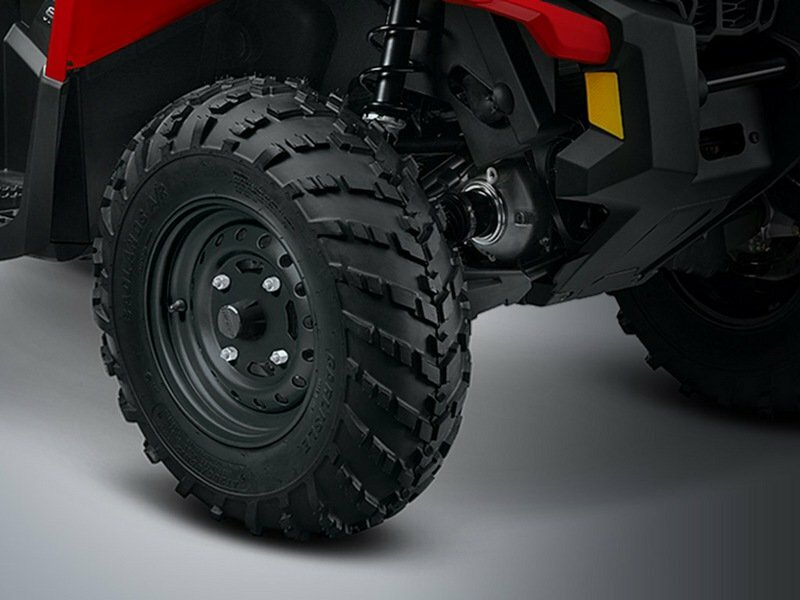 Mounted on the steel black wheels are rugged 26-in Carlisle Badland tires that offer industry-leading performance in a variety of conditions and terrain. Redesigned cargo racks offer more convenience, durability, versatility, and cargo hauling capacity. Reinforced composite racks offer an integrated anti-skid surface and elevated ridge. 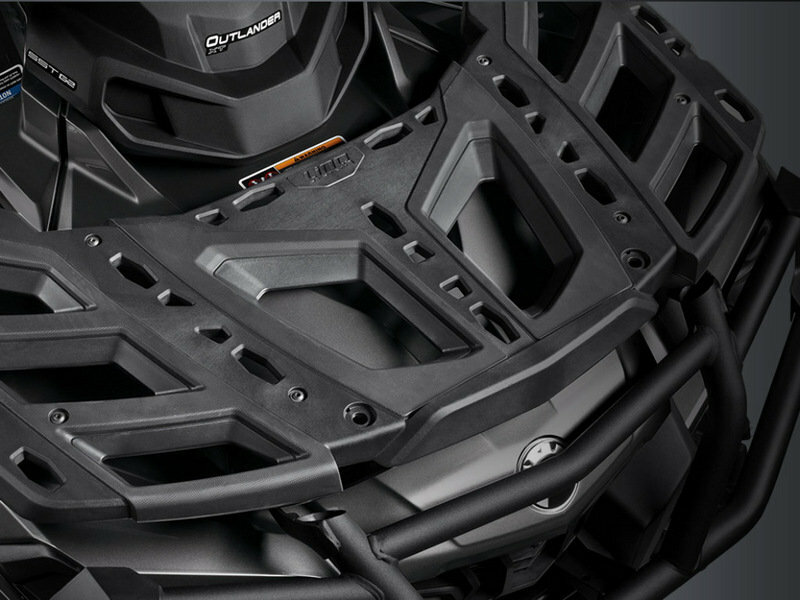 Predetermined “cutouts” for use with Can-Am’s exclusive LinQ accessory system. Combined rack capacity of 300 lb. A huge 5.7-gallon (21.4L) water-resistant rear storage box offers industry-leading cargo capacity and is located beneath the rear cargo rack. The more convenient location means riders can access the water-resistant, sealed storage box even when the rear cargo rack is loaded. The exclusive D.E.S.S.™ anti-theft system prevents your ATV from starting unless a coded microchip in the key matches a code embedded in the engine control module – so only you can start your vehicle. The most lighting output of any ATV in the industry. 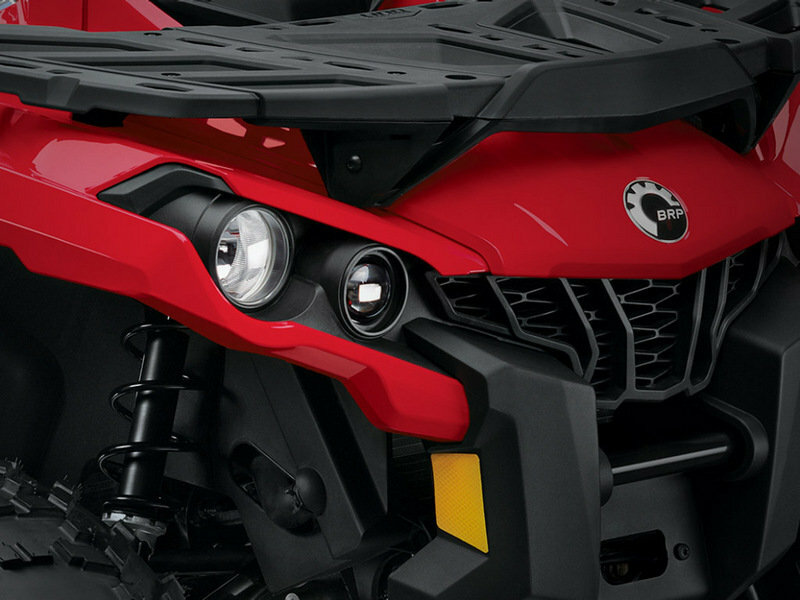 Restyled headlights honor the Can-Am heritage while offering enhanced visibility for trail riding. 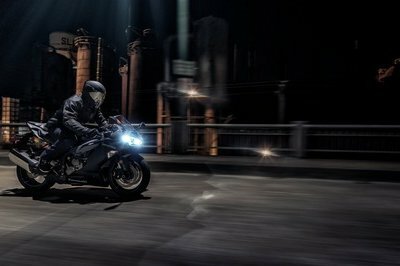 On high beam, the twin 60-W projectors and dual 55-W reflectors give the Outlander 230 W of visual clarity. Tells the rider everything in one easy glance. Our easy-to-read multi-function gauge is equipped with a digital information center, including a speedometer, tachometer, odometer, trip meter, gear position, hour meter, engine hour meter, temperature and engine lights, fuel gauge, and clock. Can-Am engineers have succeeded at producing a more maintenance-friendly setup. The battery has been relocated under the seat to offer easier access and improved protection, along with the rear brake fluid reservoir, solenoid starter and relays. L X W X H (IN) 86 x 46 x 44 in.